The Business Board has voted to concur with the recommendation of the University Affairs Board (UAB) to enforce a smoking ban at U of T and to approve the university’s Four Corners Strategy in principle. These were two of the 14 items on the agenda for the board’s second meeting of the 2018–2019 academic year, held at Simcoe Hall on November 26. As part of Governing Council, the Business Board is responsible for monitoring the cost-effectiveness of the university’s investments and for approving its business-related policies. The Business Board was the fourth stage of governance for the university’s proposed smoke-free policy, following recommendation by the UAB on November 19 and information sessions at the UTSC and UTM Campus Councils on November 20 and 21 respectively. The policy must now be endorsed and forwarded by Governing Council’s Executive Committee on December 4 and approved by Governing Council on December 13 in order to take effect. Vice-President Human Resources & Equity Kelly Hannah-Moffat presented the item to the board. If approved by Governing Council, the smoke-free policy would ban most forms of smoking at the university’s three campuses effective January 1. Exceptions to the policy are Indigenous ceremonies and medical requirements. The policy would not apply to the university’s three federated colleges — the University of St. Michael’s College, the University of Trinity College, and Victoria University. “Enforcement of this policy will be first and foremost about educating our community and also talking to our community about the risks of second-hand smoke and the risks of smoking,” Hannah-Moffat added. The university will continue to provide staff, faculty, and students smoking cessation support. All present voting assessors at the meeting voted in favour of the item, meaning that the board concurs with the approval passed by the UAB. The board also unanimously approved the Four Corners Strategy. According to Vice-President University Operations Scott Mabury, the strategy has been in development for around four years. It will replace the existing real estate strategy implemented by the university in 2007 and act as a framework to guide the university when investing in new real estate projects. The in camera session comprised of the quarterly list of donations of $250,000 or more, administrative assessors’ reports, compensation increases for various staff and faculty, and approval of the membership of the board’s Striking Committee. Hannah-Moffat also presented the Human Resources & Equity Annual Report of 2017–2018 and the Report on Employment Equity of 2017–2018, which include the university’s initiatives to increase diversity, equity, and inclusion. The University Affairs Board (UAB) voted to pass the smoking ban at its November 19 meeting, moving the policy one step closer to full approval at the next Governing Council meeting on December 13. Cigarettes, cannabis, and vaping will all be covered in this ban, but certain smoking areas will be designated in the interim. One area of concern that many attendees raised during the meeting was how the ban would be enforced. Vice-President Human Resources & Equity Kelly Hannah-Moffat said that the ban would be primarily an educative policy, not a disciplinary one. A primary focus of the policy is to address the issue of secondhand smoke, and the effects it can have on students, even ones who don’t smoke. University of Toronto Students’ Union (UTSU) Vice-President University Affairs Josh Grondin agreed that the policy was a step in the right direction, but urged the UAB to take more time to review this policy. Last week, Grondin created an online forum where students can give feedback on the smoking ban. One major concern that students had, according to Grondin, was its effect on marginalized students. Many people were concerned that Campus Police would target students by their ethnicity. Grondin also pointed out that many students smoke cigarettes or cannabis as a stress reliever, and vaping should not be dismissed as an alternative to cigarettes. Association of Part-time Undergraduate Students (APUS) Vice-President Internal Susan Froom also had many concerns about the policy. She pointed out that the UTSU, APUS, and possibly many workers’ unions had not been consulted about the policy, and recommended that Governing Council take more time to review areas in which the policy could be improved. She also pointed out that the designated smoking areas at UTM and UTSC were few and far between, and that students and workers may have to walk up to a kilometre just to smoke. These concerns were also raised at the UTM and UTSC Campus Council meetings. The next stage of approval will be at the Business Board meeting on November 26. Smokers: goodbye or good riddance? 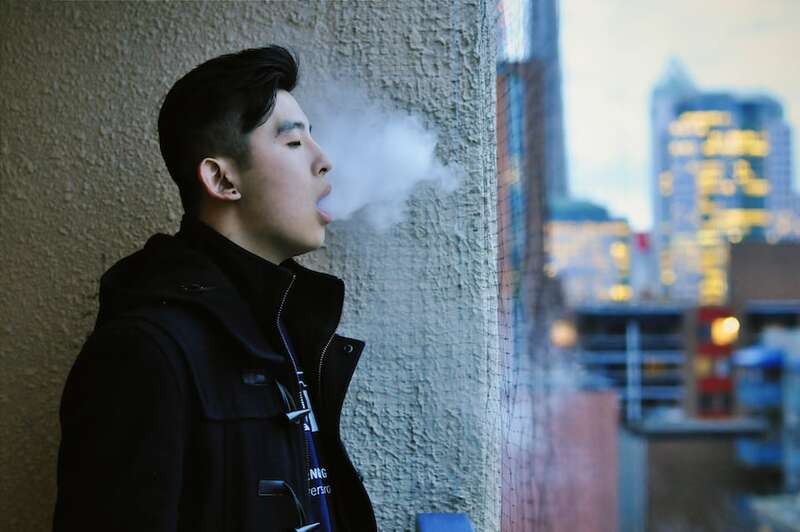 On November 9, the University of Toronto announced that it will implement a smoking ban on all three campuses, effective January 1. Smoking tobacco and cannabis, as well as the use of e-cigarettes and other vaping devices, will no longer be permitted. Exceptions will be made for Indigenous ceremonies and medical use. Two contributors debate the merits of the policy. This ban could not come soon enough. It is high time that the university protects its students, staff, and facilities from the effects of smoking. Kelly Hannah-Moffat, U of T’s Vice-President Human Resources & Equity, said that the purpose of the updated smoking policy is to “ensure that we have a healthy campus.” Taking into consideration the negative consequences of first and secondhand tobacco and cannabis smoke, as well as the cleanliness of the campus, the policy change is set to make a positive impact on the university. In 2017, Statistics Canada found that almost one in five Canadians between the ages of 18 and 34 are currently tobacco smokers. The health effects of tobacco smoke are well-documented but are nonetheless worth mentioning. According to the Canadian Cancer Society, smoking causes approximately 30 per cent of all cancer deaths and 85 per cent of all lung cancer deaths each year. According to the Centers for Disease Control and Prevention, tobacco is responsible for more deaths per year than HIV, illegal drug use, alcohol use, motor vehicle injuries, suicides, and murders combined. The effects of smoking extend far beyond the user — especially harming the environment and bystanders. Research shows that there is no safe level of secondhand tobacco smoke. It contains both mainstream smoke, which is exhaled from the smoker’s mouth, and sidestream smoke, which is emitted from the end of the cigarette. Sidestream smoke is actually more toxic than the smoke inhaled by the smoker; it contains smaller particles, which make their way into the lungs more easily. Around two-thirds of the smoke emitted from a cigarette can be inhaled by anyone in the area, and this inhalation is involuntary and dangerous. According to the American Lung Association, tobacco smoke contains about 4,000 toxic chemicals, 40 of which have known links to cancer. The effects of the smoke can be measured within five minutes of exposure, and all too often, students do not get to choose whether they are exposed. Over 800 non-smokers die from lung cancer and heart disease due to exposure to secondhand smoke every year in Canada, and shielding U of T’s community from this preventable phenomenon is of paramount importance. Ridding the campus of this damaging practice will protect both students and faculty, and hopefully create a safer and healthier environment for all. The recent legalization of recreational cannabis in Ontario played a part in the university’s discussion of the smoking ban. Though not as severe as tobacco smoke, cannabis still has negative effects on both first and secondhand smokers. According to the National Institute on Drug Abuse, firsthand cannabis smokers exhibit significant airway inflammation, increased airway resistance, and lung hyperinflation, and those who smoke regularly report more symptoms of chronic bronchitis. What has been found about the effects of secondhand cannabis smoke is not promising. A study conducted on rats found that secondhand exposure to cannabis smoke negatively affected blood vessels as much as tobacco smoke, and the effects lasted for a longer period. Just as with tobacco smoke, the university has a responsibility to minimize cannabis smoke risks experienced by its community on campus. Keeping the university hospitable will be a welcome consequence of the ban. Cigarette waste is a substantial issue on campuses that permit smoking. A project undertaken at two universities in San Diego showed the scope of cigarette waste on campus. In an hour, volunteers at both universities managed to collect over 30,000 cigarette butts, averaging almost 400 per volunteer. This kind of saturation can make outdoor spaces unpleasant and off-putting when coupled with secondhand smoke. This policy is not meant to punish smokers. After all, the administration will work to make the transition easier for smokers on all campuses by offering to create temporary smoking areas and making smoking cessation services available. Rather, the policy change simply aims to make U of T more safe, healthy, and hospitable. It will work to improve our public outdoor spaces and make a positive and longlasting change on campus. When I first caught wind of the Trudeau government’s intentions to legalize cannabis during the 2015 federal election, I will admit that I was not a fan. I have not and actively choose not to engage with any form of smoking. But today, I go about my daily life unhindered by the legality of cannabis. I have made peace with my prejudice on the substance. I am therefore nothing but puzzled when I look at the smoking policy set to take effect in the new year. As the university is an apparent defender of personal freedoms, the decision to implement this policy is overreaching and unrealistic. The ban take away the personal choice of students, staff, and any other person on campus to smoke. Not to mention, regulations on outdoor smoking are already enforced by the Ontario government. The regulation addresses the legalities of smoking in venues such as patios, playgrounds, and outside areas. While many studies have concluded that these activities pose risks to the user, controlling, instead of banning, outdoor smoking already reduces the health impacts on the general public. I worry that Campus Police will be preoccupied with cannabis-related complaints. But campus safety should be one of the most important priorities for the university. Walk-safe programs, adequate lighting, and nighttime security are pillars to working toward a safe campus for all. Campus Police works with the university on this, in addition to responding to many calls dealing with various assaults. In its 2016 Annual Report, the police service noted that it uses campus resources wherever possible, but sometimes outside resources are required for training and development. I hope the new ban will not put a strain on the work that the police do every day. After decades of cigarettes being smoked on campus, it is also curious that the university has suddenly decided to implement this smoking ban. I cannot help but notice the timely fashion of the policy in relation to the recent legalization of cannabis. For a university that is working to erode the existence of stigmas on campus — through education campaigns on mental health or LGBTQ+ issues, for example — it seems to me that the stigma around cannabis is the cornerstone to one of the most controversial policies introduced to date. In addition to already infringing on personal choice, the university seems to disregard the practicality of the ban. Make no mistake: this policy is not pragmatic. U of T’s three campuses make up hundreds of acres of land. UTSG alone includes land from the intersection of Bloor Street West and Spadina Avenue to Bay Street and College Street. The university is often an escape from the bustling city that is Toronto. And the campus is not a gated kingdom; many members of the public pass through campus every day. It would therefore not be realistic to prohibit smoking in this environment. We also need to acknowledge what is being asked of those who decide to smoke: if you choose to smoke, you must travel off-campus. But it’s not clear where exactly off-campus would be. If a student were to be in the middle of King’s College Circle, it would be inconvenient for them to walk 10–15 minutes just to smoke for two minutes. It could also have a clear impact on their punctuality to class and extracurricular commitments. It seems that the administration did not account for the experiences of a student who smokes when deciding to roll out this policy. As the policy moves forward, I would expect a certain level of compromise: designated smoking areas, to say the least. Our time, money, and attention should focus on the student experience. Ostracizing students for their personal choice to smoke is not a step in an equitable direction. We should consult with students who do not smoke and consult with students who do. Bringing diverse voices to the table that appreciate the input of each other will live out the equitable practices we preach. While the idea of smoking may be unattractive to those who do not engage in it, like myself, I will not allow my preference to trump another’s agency. Andrea Chiappetta is a second-year Political Science, American Studies, and History student at Woodsworth College. The University of Toronto has officially decided to ban smoking on all three campuses by January 1, 2019. This includes smoking tobacco or cannabis, as well as vaping. This will fulfil a September 2017 pledge, which was made shortly after McMaster University announced that they will ban smoking on their property effective January 1, 2018. The existing smoking policy dates back to 1995 — 11 years before it became illegal to smoke in bars and pubs in Ontario. The university will allow each campus to designate “smoking spots,” which will be decided based on how far away they are from main buildings. These smoking spots will be temporary, however, as the university aims to move toward a smoke-free environment. Exceptions will be made for Indigenous ceremonies and medical requirements. “Our existing smoking policy is decades old and recent changes by the provincial government that allow smoking of cannabis in public spaces may increase the risk of exposure to second-hand smoke,” Kelly Hannah-Moffat, Vice-President Human Resources and Equity stated. The policy still needs to go through Governing Council in order to be fully approved. If this occurs, U of T will join 65 other universities and colleges across Canada that have banned smoking. The fuse is lit for plans to quit: the University of Toronto is beginning the process of banning smoking on campus. In the same week that McMaster University announced it will ban all smoking on its property starting January 1, 2018, U of T is confirming that it has plans to do the same. The plan to ban smoking began as a conversation between the Office of Health and Safety and in Human Resources, with the initial drive being to update the university’s outdated smoking policy. The policy dates back to 1995, Blackburn-Evans said — about 11 years before it became illegal to smoke in bars and pubs in Ontario, and back before marijuana dispensaries dotted the downtown core. It remains to be seen how a smoking ban could be enforced on, for instance, the St. George campus, which includes a considerable chunk of Toronto’s downtown core: from Bay Street to Spadina Avenue, and Bloor Street to College Street. Some parts of the St. George campus are privately owned by U of T, making these areas subject to university policy. However, some larger thoroughfares include public roadways and sidewalks, which may not be subject to such a ban. Blackburn-Evans made it clear that there are a lot of things that are still up in the air — it remains to be seen whether smoke on campus will be among them.